Fear of childbirth is a common experience. There is even an official phobia name for extreme fear of birth (tokophobia), though being diagnosed at that severe level is rare. 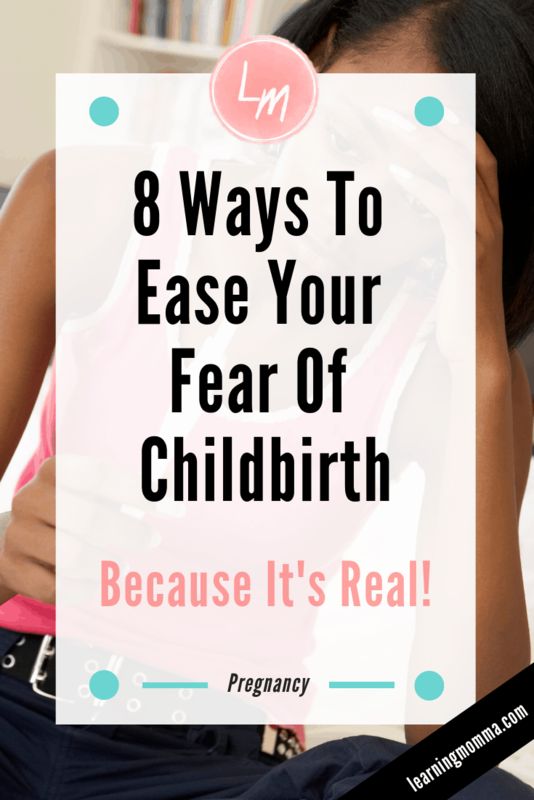 If you are experiencing fear prior to the birth of your baby, it doesn’t make you crazy. Childbirth is a miraculous thing, but it can also cause a lot of trepidation if you’ve never experienced it before (or even if you have)! What causes fear of childbirth can be different for everyone, but it can range from a fear of the unknown process to a fear of the pain or to fears about the baby’s health or recovery process. For some there is even a very real fear of dying in the labor and delivery or the postpartum process. Before the birth of both of my daughters I was crippled by a fear of childbirth. I would sob about the fact that I might not even get to meet my little one because I was so scared that the labor experience would be fatal for me. I even explained to my husband where all of the baby clothes were organized by size and labeled all of the baby accessories, etc. in case I wouldn’t be returning home with him. It’s somewhat laughable looking back, but it was real! You’ve likely encountered ways to prep for labor from a physical standpoint (things like preparing for labor exercises). However, there are some things you can do to prepare yourself emotionally and combat the fear of childbirth as well. Note: Are you stressed by ALL OF THE THINGS to get ready for your new baby? Beat the overwhelm with the ultimate printable handbook of baby prep checklists & guides! Everything from packing your hospital bag to tracking your newborn’s feedings. Read more here. I’m not here to dismiss your fears. 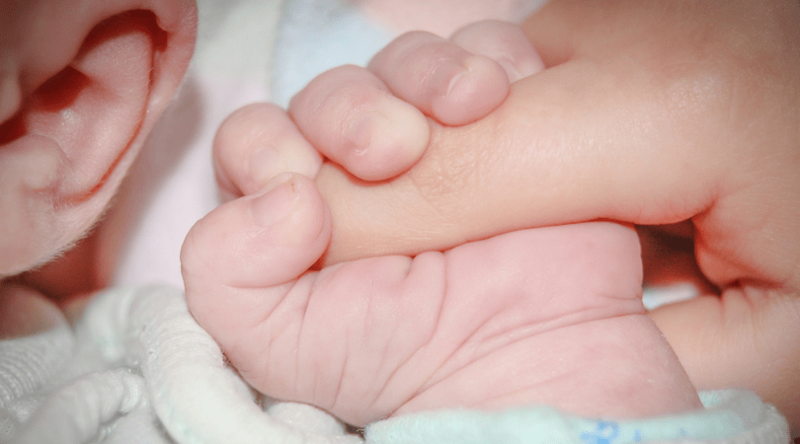 Childbirth is a huge experience and I experienced A LOT of fear too! But I am here on the other side to try to help equip you to ease your fears. (Keep in mind that many of your fears may be magnified by your hormones as well!) Whatever the source of your fears, there are some practical steps you can take that may help to reduce them! Sometimes fear is magnified by the unknown. If you find yourself getting hung up on the fear of what your body is going to experience, then a prenatal class may be a tremendous help. A prenatal class (otherwise known as a preparing for childbirth class) walks through a lot of what to expect about the physical process of labor and delivery so you know how everything will work when you’re suddenly caught in the middle of it! Prenatal classes are often offered by your delivery hospital, but if the idea of committing to a scheduled time and pulling your pregnant self off of the couch to get to the hospital for a class is daunting, you can jump into a free online prenatal class taught by a labor and delivery nurse with over 10 years of experience here! If you are one (like me!) who experiences more fear of childbirth when you have understanding of what your body is going to experience, then skip the prenatal class! You have to emotionally prep for labor in the ways that are most helpful to you. For me that meant trusting that my body would follow the natural process of childbirth and that my doctor and nurses would coach me through everything when I got there. Another reason that you might experience a fear of childbirth is simply a fear of what the outward process will look like. Things like, “where do I park and rush into the hospital at?” or “will my husband be able to stay with me after birth?” to “will I be able to walk throughout labor?” These may seem like smaller anxieties, but each one can play into your greater fear of childbirth. A great way to emotionally prep for labor and quiet these anxious thoughts is to schedule a tour of your delivery hospital! Many hospitals offer tours to help you gain familiarity with where to check in and show you the labor and recovery rooms. As a part of the tour they will probably also explain some of the birthing options that they have available such as bathtubs, birthing balls, stools, or room to walk. Taking a hospital tour was helpful for me so that I could mentally picture where I would be through each step of the childbirth process. Especially if you have a specific birth plan or desired method, I highly recommend taking a tour of your delivery hospital to be sure that your desires will be able to be accommodated. Fear of childbirth can also be tremendously tied to a fear of the pain that accompanies the process. Stories of extremely easy childbirth are rare, so if you are shaking in your boots about the impending physical pain of giving birth then doing some research about pain management options may help to set your mind at ease. If you are preparing for a natural labor it may ease your fears to research some techniques for pain management, including breathing, mental exercises, and even ways that your partner or a loved one can help you. If you are open to pain medication options then ask your doctor about what will be available to you. Sometimes just having a practical tool in your back pocket (whether it’s a technique or an anticipated medication) can help you feel less anxiety about facing the coming pain. Personally, I got an epidural with both of my deliveries. I didn’t fear the pain as badly going into my second delivery since I knew that there was a way to make it subside. Whatever your pain management method, just being confident of it as you prep for labor can help to reduce your fears. Many moms may experience a fear of childbirth because they are worried about the well-being of their baby. (That is a perfectly understandable fear!) Seeing a doctor that you trust can go a long way in easing your mind. A doctor can’t tell you that they know your baby will be okay or that everything will go smoothly to bring them into this world. No one can make you that guarantee. However, if you have a doctor that you trust you can at least be confident that you will be coached through delivery with the utmost care and that you can trust any decisions that they may need to make along the way. If you are terrified of how the healing process will look after you give birth it may help you to do a little bit of research so you can be prepared for what to expect when you reach that point. You can read my post about what to expect in the first few weeks after giving birth here. The post walks through the postpartum experience from an emotional and physical perspective and offers tips to help you prepare! Sometimes feeling like we are helplessly waiting for something to hit can fuel our fears. Take in some of these tips to prepare for postpartum to help you practically prepare and feel more equipped for what’s to come. It may just set your fears at ease! If your fear of childbirth is tied to an anxiety about adjusting to life with your new baby, again there are some practical ways to prepare that may help you feel more equipped for what’s to come. You can read my 9 practical tips for preparing to bring your baby home here. It is a MAJOR adjustment to suddenly add a life into your family. It’s okay to feel some fear as to what it will look and feel like as you prep for labor. If your mind is spinning with anxiety about this part of the delivery journey, it may help you to focus on being practically prepared instead of cycling on all of the unknowns. If you are gripped by a fear of childbirth it may be consuming your thoughts and emotions. Keeping it inside may only make it worse! Sharing your fears with your partner or a trusted friend may help to set some of them at ease. Before both of my deliveries my husband had to repeatedly tell me that I was being irrational by assuming that I would die. I still wrestled with the fear, but having an outside voice offer encouragement and perspective helped me to battle it. Confide in someone you trust if you are terrified of the childbirth experience! It may be especially beneficial if you have a trusted friend or family member who has been through childbirth before. It may seem trivial to mention, but if you are genuinely afraid of dying in childbirth (like I was!) then you may be able to calm some of your fears with statistics. According to statistics from Verywell Family based on a count from the CDC,the chances of dying due to pregnancy in the United States are 0.00028%. Of course it doesn’t mean that it could never happen, but that is a pretty low probability. If the fear of childbirth is causing you emotional distress as you prep for labor and delivery, take heart. It is normal to feel fear of such a big and new process! However, with a few practical steps you can help to ease some of your anxiety heading into the big day. PreviousSpring Activities For Toddlers – Things You Can Do At Home! What To Pack In Your Hospital Bag – 4 Things I Wish Had Been In Mine!